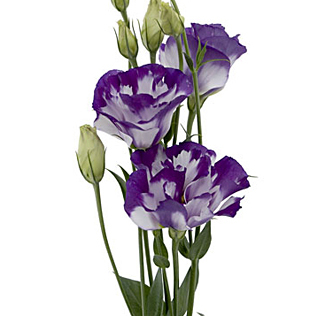 Lisianthus are cup-shaped flowers that bloom along thin, gracefully branching stems. They resemble a cross between a rose and poppy. The stems usually bear three to five flowers along with several immature buds. The foliage is gray-green in color with a waxy texture. When fresh, they have two to three mature open flowers with a couple of fully developed buds to open. The open flowers show good color and no discoloration or bruising on the edges. The tips of branching stems have a slight curve, but for the most part are upright. They make accentuating wedding flowers, adding a delicate touch of expressive beauty and elegance. 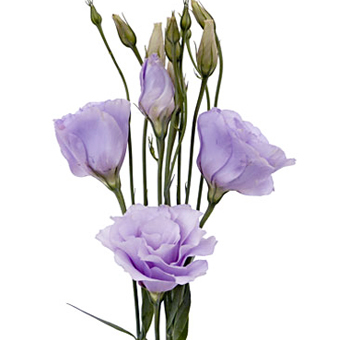 Although commonly known as lisianthus flowers their real name is Eustoma. The name means a beautiful mouth in Greek. These flowers are either single flowers or doubles flowered, and both varieties are found in a wide range of colors. 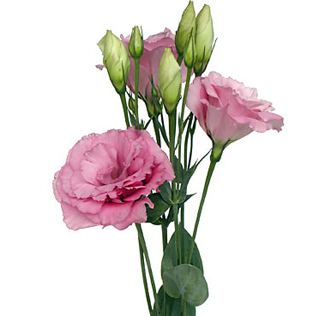 These long-stemmed flowers when singular reminds one of tulips or peonies. 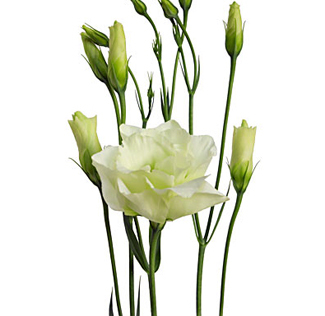 Their layered petals and glossy shine are making lisianthus very popular amongst brides. The lisianthus flower or its other names like Eustoma, Prairie Gentian, Bluebells, and Lira de San Pedro are a small genus of the gentian family. They belong to the warm regions of the Southern United States, Mexico, Northern South America, and the Caribbean. Mostly found in grassland and areas with disturbed grounds, they are herbaceous and grow up-to 15- 60cm in height.Their petals extraordinarily lush and shiny with an intricate layer. These flowers are gorgeous and increasingly taking the place of roses when it comes to traditional décor. They bloom ins under from the upper leaves. Their gorgeous bell shape and wide ruffles petals are classically beautiful. They come in two different varieties, single stemmed and double stemmed. Their slightly succulent and oval leaves are large and funnel-shaped with flowers growing either on long erect stems or stems that branch. These can grow up to three feet tall. These flowers bloom two inches across and come in some fantastic shades. 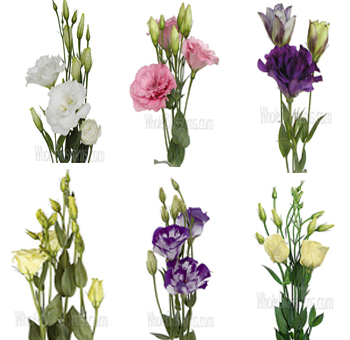 A wide variety of colors ranging from pink lisianthus, purple and blue to white and some bicolored. Occasionally you'll also find a yellow or carmine red lisianthus. It's an extremely popular flower in horticulture and the cut flower trade. It's always in demand since its increasingly being used in weddings. Lisianthus is a quite diverse flower. With two different varieties and both available in a wide range of colors, these flowers have gained some attention recently. A unique and inspired choice by the bride to be's, the lisianthus flower is used in almost every aspect of the wedding décor. From centerpieces to wedding altars, this flower has become the go-to choice. The single-stemmed ones will remind you of tulips and peonies whereas the double-stemmed variety is quite similar to roses. Taking these factors into account, it evident that lisianthus makes excellent bouquets too! They are easy to pair with a number of flowers and shine well enough just on their own too. The lisianthus flowers definitely make some great bouquets. They are able to stand out on their own too. 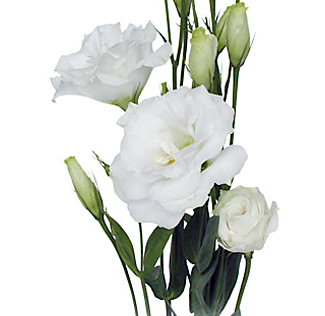 The lisianthus White for white weddings is absolutely the perfect choice. The ruffled, layered feathers look extraordinarily romantic and fluffy.It can be mixed with other blooms to give it look like ‘hand-picked' making this rustic bouquet perfect for a vintage or boho chic wedding. They can be cut and trimmed well to make more composite bouquets too. 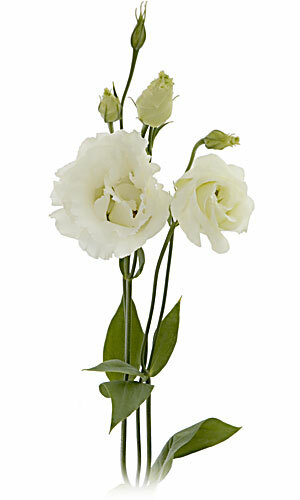 It’s available all year round, so winter brides can add white lisianthus flowers for a soft and delicate accent. A very different and unique bouquet idea could be pairing white lisianthus with eucalyptus for a vintage winter wedding. Honestly! The possibilities are endless. An all-white bouquet is classic and familiar. 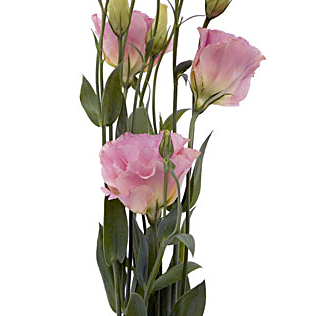 If you wish to add some soft colors, you can opt to add the lisianthus blooms which come in a wide range of colors. Spherical bouquets of the short-stemmed flowers can make great bridesmaids’ bouquets too! Single lisianthus makes the most perfect and gorgeous boutonnieres for the groom and his men. So get your creative shoes onand get to make the best bouquet out of these beautiful blooms. These blooms are always in demand. Luckily unlike tulips or peonies, they even grow year-round. 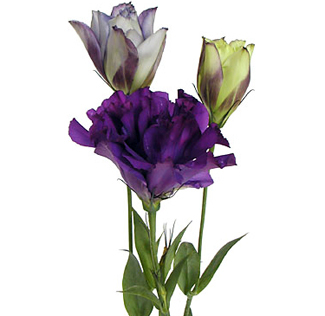 Since the lisianthus blooms are so readily available, it should be easy to locate a vendor who would sell them to you. Finding lisianthus for sale would be much easier online. Wholesale flower companies are great, and everything is just waiting to happen one click away! However, we suggest that you make sure you know what you're purchasing good quality for the right price. 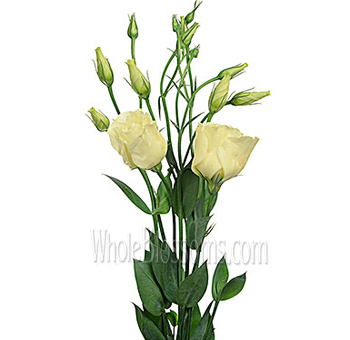 Online wholesalers like Whole blossoms are especially renowned in this area. This company not only sells fresh blooms but their delivery service is remarkable. A 24/7-hour delivery is a blessing for event planners. For event planners and brides alike, there are several benefits to purchasing from a trusted online wholesaler. You’ll be guaranteed fresh blooms and a delivery service that delivers right at your doorstep. Moreover, ordering online like this in bulk also helps you stay under your budget. Flowers for big events like weddings can get expensive but purchasing in bulk can help you big time. Your bulk lisianthus flowers can be used literally almost everywhere! From the wedding bouquets to the wedding aisle and the reception table. It’s definitely a flower you should go with for your big day.